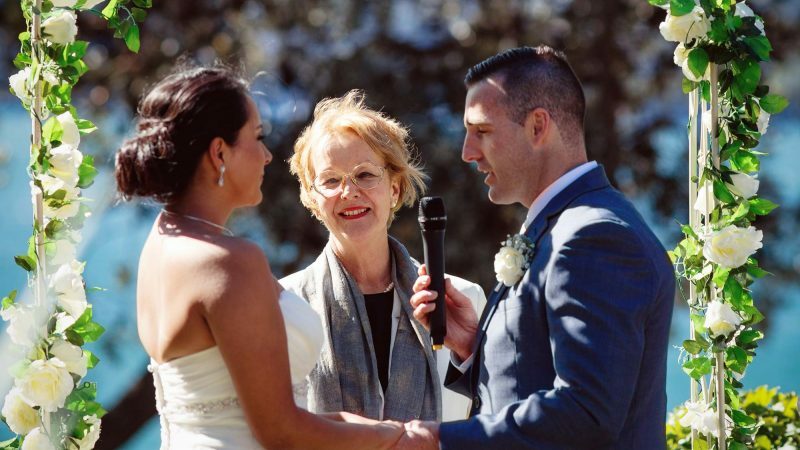 Heather Martin is a trusted and well known Marriage Celebrant and Civil Wedding Officiant in Sydney Harbour, Inner West Sydney, Sydney CBD, Balmain, Elizabeth Bay, Mosman, Balmoral Beach, Darling Harbour, Observatory Hill, Royal Botanic Gardens and Marrickville. My name is Heather Martin and I have over 10 years experience as an authorised marriage celebrant based in Marrickville. I also work as a wedding celebrant throughout the Inner West as well as across Sydney. Being one of the best wedding celebrants in Sydney, I ensure a dignified and warm ceremony that will delight you and your guests. You will be able to relax and enjoy your day with confidence knowing that through my services as marriage celebrant in Sydney, it will be exactly as you wish. As a marriage celebrant in Sydney, it has given me pride and satisfaction over the years to have pleased all my clients with a high quality and personalised service. Before becoming a celebrant I was a secondary school principal in an inner city school. My qualifications include a Masters Degree in Educational Administration with Merit from Sydney University. I have completed the Cert IV in Celebrancy and have over 10 years experience as an authorised wedding celebrant based in Marrickville. Aside from being a marriage celebrant in Sydney, I am also a Justice of the Peace and can witness Statutory Declarations. As a civil celebrant in Sydney, I also offer wedding celebrant services at my home. A reasonably priced wedding package gives you the privilege to celebrate marriage at my home.